Watercolour in Hand Carved frame - Great Art Deco Frame! 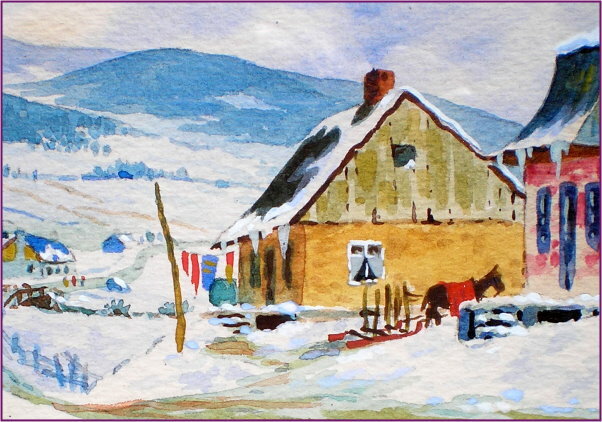 Titled Verso: "French Habitant Homes in the Laurentian Mountains"
Painting Size - w:5 in. by h. 4 in. Take note: The rarely found larger 4" x 5" format watercolours that Willard created were produced in far fewer numbers than his smaller size paintings. Both the condition of the frame and the painting itself is also very important when it comes to the value of these range of his watercolours. 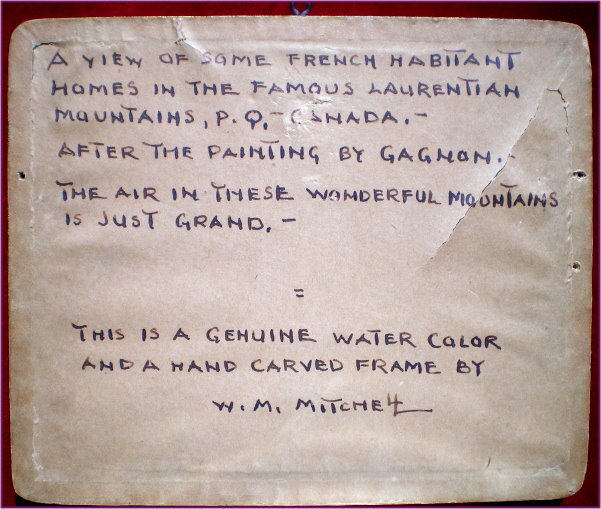 Willard Morse Mitchell was born in 1881 in St. John, New Brunswick. He had a studio in Amherst, Nova Scotia where, at the same time, he was also the town architect. Prior to establishing himself in Montreal, Willard lived in Ontario for a brief time in 1921. After his move to Quebec, he became active in Montreal as an architect and artist. Willard is particularly well known for his miniature watercolour landscapes of rural Quebec and his streetscapes of Montreal. He carved his own frames and placed a brief note on the backs of the framed scenes. 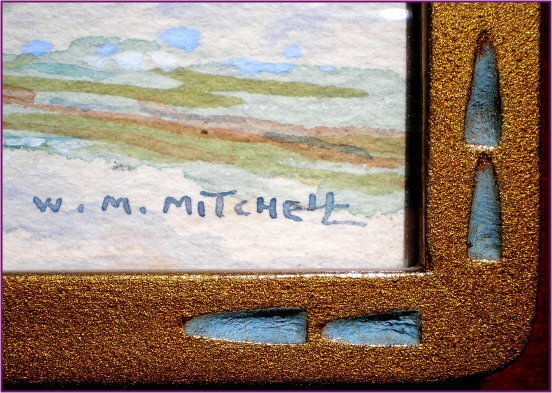 His miniature watercolours were artistically well done and were very popular as small gifts during the time he was producing them (1928 to 1954). Besides painting in Quebec he also painted small landscapes in Ontario, Nova Scotia, Italy, Morocco and Greece. He exhibited with the AAM in 1927 and 1928. 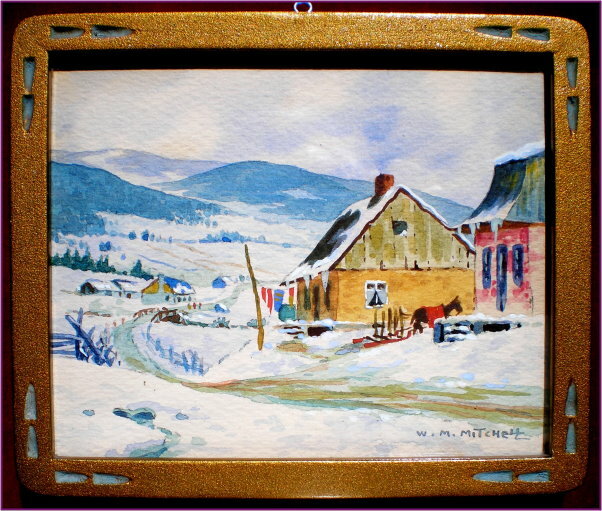 Williard’s miniature watercolours have now become quite collectible in Ontario, Quebec and the East Coast provinces. Willard died at the age of 74 in 1955.